I think it is all this warm weather in the Northeast that has made it so easy for everyone to continue training hard and staying focused on fitness this winter. Springtime activities in the winter months – I love it! But as much joy as it’s bringing to breathe the fresh air this time of year, I also think the relatively balmy temperatures are why we are hearing from so many of you who have suffered an injury in the past few weeks. We are active people…we want to be out there and give it our all…but certainly the extra time outside presents us with all the more opportunity to twist and ankle or pop a knee. I am a fitness blog junkie…and this week three of my very favorites…. Each featured posts on suffering from and caring for recent injuries. Of course at BRD, injury and helping people who are injured are subjects that are pretty much always on our mind…so I couldn’t help wondering whether or not this new focus was a mini trendlet, a hot topic as we head into heavy training season…or a new phenomenon, a result of the early spring. 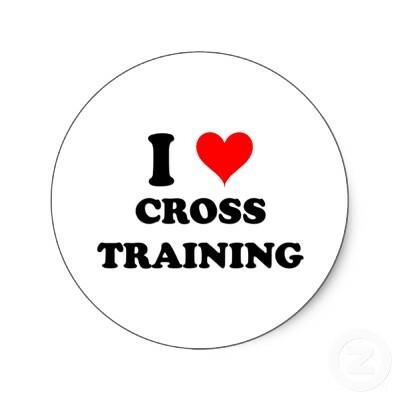 I think the common thread is that cross-training is essential any time of year if you want to avoid injury. Like I said weeks ago, I am trying hard to mix things up and try a variety of fitness routines, including ice skating and new machines at the gym. It can be difficult to work a new regimen into an already comfortable process, but it just may be the key to what keeps you in the game. We always tell our clients that avoiding injury is the ultimate goal, and the best defense is being diligent…change up your stretching routine and take sufficient breaks between workouts. This all just reminded me that there are so many out there in search of relief…in search of a product that will get you back on your feet as soon as possible. And of course you are here and reading what we say because you know our product and all the great things athletes and runners and regular joes say about its effectiveness. BRD keeps sports and fitness enthusiasts out and about, enjoying the gorgeous springlike winter as they should be.